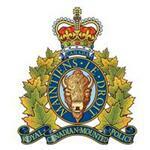 RCMP Alberta - On Monday July 23rd at approximately 7:00 am, the Fort Macleod and Claresholm RCMP responded to a two vehicle collision on Highway 519 near Range Road 242. A Honda Civic travelling westbound on the secondary highway crossed into the eastbound lane and collided with a GMC Sierra truck. Both the female driver and female passenger of the Honda Civic were pronounced deceased at the scene while the driver of the GMC truck was transported to hospital with unknown injuries. An RCMP collision analyst attended the scene and the cause of the collision remains under investigation. Alcohol or drugs do not appear to be a factor in this collision. Traffic along Highway 519 was temporarily rerouted onto Municipal District roads to bypass the collision scene.